One of the first lessons generally taught to Chinese kungfu students is that “well water doesn’t mix with river water,” referring to the belief that martial artists and thugs for hire were two different entities, not to be mixed together. But in the martial arts world, there are only a few ways to make money with the profession, and one of the more lucrative options in China today is the high-end bodyguard. For rich Chinese, gaining face is as important as security. Being able to tell people that the hard-faced man next to them is a “kungfu master” goes a long way, especially in provincial business negotiations where entire clans will show up and sit around a massive table in the town’s most expensive restaurant, holding moonshine drinking contests before bumrushing the local brothel. Gang members, or perhaps better put “local clans,” run the business world in rural and small town China. Clans are not necessarily related by blood. It’s very common for a real estate magnate to have government and underworld connections—familial or otherwise—and use the former to help getting hands on the land, and the latter to help kick off whomever is currently living on that land. This is the river water your master warned you about. Martial artists, unfortunately, move quite fluidly across the border between river water and well water. Sometimes the kungfu man wears the black hat of the thug, and sometimes he is the one man hero we’ve seen in the movies. It depends largely on how long a person has studied kungfu. Those who put in a couple years and learn to lick and punch seem to be more likely to jump into the river, whereas those who dedicate themselves to the art often stick by the well. It’s also common for people with just a few years of experience to slip into the security world as low-level guards, police officers, or in some cases as part of a professional security force. During the 2008 Olympics, I worked alongside three different security teams guarding the Holland House. All of the boys (and they were boys, ranging from 16 to 22) had studied wushu, and most of them had gone to wushu academies, the hybrid martial arts-academia schools that flourish in the poorer provinces. Most were from Henan, home to both the Shaolin Temple and Chen-style taiji, and one of the poorest provinces in China. They made about $100 - $200 a month. A shady businessman can pay much more than that, and when rent is on the line, or family back on the farm are in need of help, it’s tempting to turn to crime for a bit. Hiring out of kungfu masters to protect private interests is nothing new. 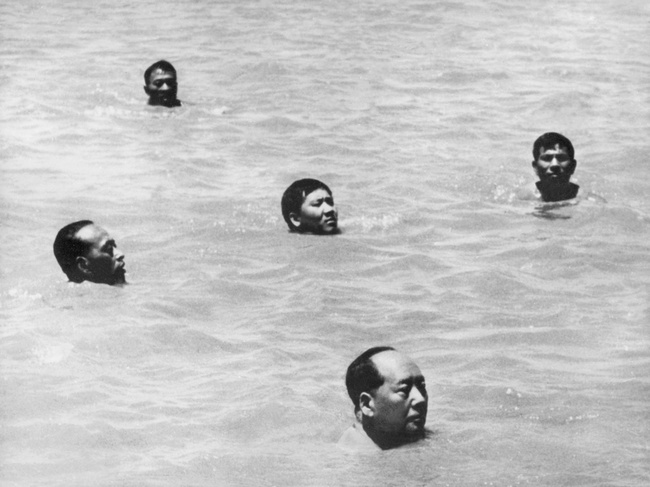 Sanda champions routinely enter the hazy area between river and well water once they retire, floating between gangster-businessmen and their clans. Both parties gain face—the businessman has a tough guy and the tough guy gets to wear a suit—and another connection is formed. Building up connections through patronage and is a big part of how Chinese interact with each other, and a lot of martial artists who achieved some distinction can count on a wealthy businessperson to step in and pay for daily expenses in return for just hanging out. The issue of security is a big one in China, because the law means nothing and there is no justice for the weak. Thugs are everywhere, which means fear and might are what adjudicate most disputes in China. Kungfu has a long history of intervening to tip the scales and pretty much every kungfu movie ever made depicts this struggle, between the thug and the master teacher. For most of the last few decades, it was more lucrative to be a black hat. But as China’s business with the international world grows, local companies are starting to distance themselves from the old provincial way of doing business. Now, larger companies and respectable businessmen find they need to protect themselves from kidnappers and organized crime. Most recently, an article described how Jack Ma, founder of Alibaba, was seen walking around with a known martial artist from Chenjiagou in Henan, Li Tianjian. 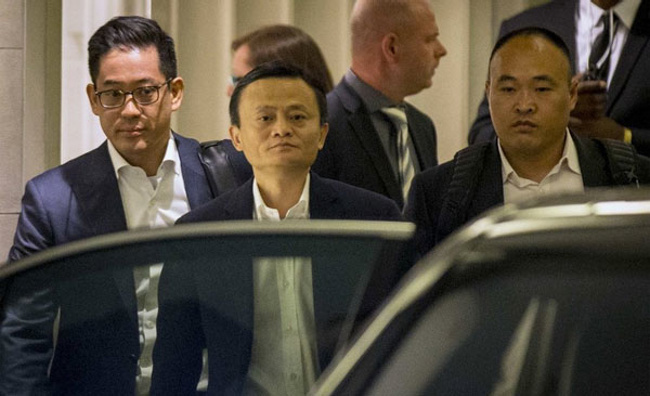 Jack Ma makes headlines where ever he goes right now, because his company, valued at somewhere between $135 billion and $235 billion, is about to go public. His alliance with a well-known martial arts institution, Chen-style taiji, is part of a larger trend toward legitimizing and commercializing the martial arts. From Jet Li’s business, Taiji Zen, to the Shaolin Temple's efforts to become a real business, martial arts in China is waking up to the commercial possibilities of kungfu. Even in the provinces, where clans still rule, gangsterism is starting to realize that “going legit” might be a better long term option. Back in 2001, Chinese premier Zhu Rongji traveled to a little backwater town in Sichuan called Neijiang, and in front of a national audience, labeled the town “the biggest gangster city in China.” For the better part of a decade, Neijiang locals would recount this story with a mixture of pride and embarrassment. I was recently at a dinner engagement with two men who claimed to be part of an infamous Neijiang gangster’s clan and several provincial wushu association officials. Big Brother Mu was looking to start a security company, they said, and they were seeking advice.